Donald Trump became U.S. President amid a storm of controversy and although Barack Obama welcomed The Donald and Melania Trump to the White House with grace his opinion of the property mogul is unsurprisingly low. Barack and wife Michelle Obama are set to adorn the cover of People Magazine and the publication has quoted a few sources close to the couple, and apparently they don’t have much good to say regarding the current POTUS. Two friends say Obama described Trump as ‘nothing but a bullshitter’ back in November, and they have been contacted once more to discuss if anything has changed on that front. Well, it hasn’t gotten any better. 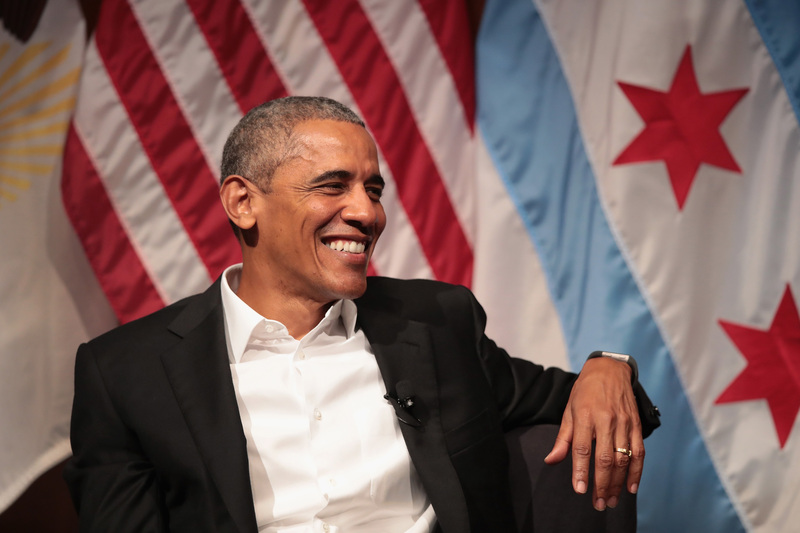 Director of the University of Chicago’s Institute of Politics and friend of the Obamas, David Axelrod, maintains that Barack does fully respect Trump’s position, even if he has doubts about the man. Obviously, this now is a unique set of circumstances, but my sense is that he’s going to try and respect that tradition while reserving the right to speak out in given moments when things rise to that level. Meanwhile Michelle’s thoughts are said to be equally low. She has reportedly joked that she’ll be ‘going all black for the next couple of years’ as a mark of mourning. Sounds like somebody shouldn’t be expecting a Christmas card from the Obamas this year then.